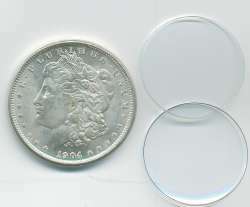 Cointains are crystal clear 2 part holders that are designed to fit over a coin and then nearly disappear. This picture shows the 2 parts ready for a coin and a silver dollar that is in a cointain. 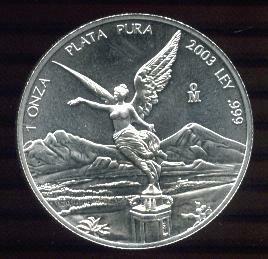 Cointains are totally inert, very nearly air tight, and tough enough to protect against nicks and scratches. Cointains are not available singly, but come in 20 or 25 holder packs (depending on coin size) and 100 packs. The 100 packs are a better deal than the smaller packs. It is recommended that after you put a coin in a cointain, that the coin then be placed cointain and all in either a flip or 2x2. Coin Not Included. Simply Snaps together.